Oatmeal bars (or just oats in general) are great for boosting your energy and giving you a much-needed top up of fibre, known to lower cholesterol and reduce the risk of heart disease. 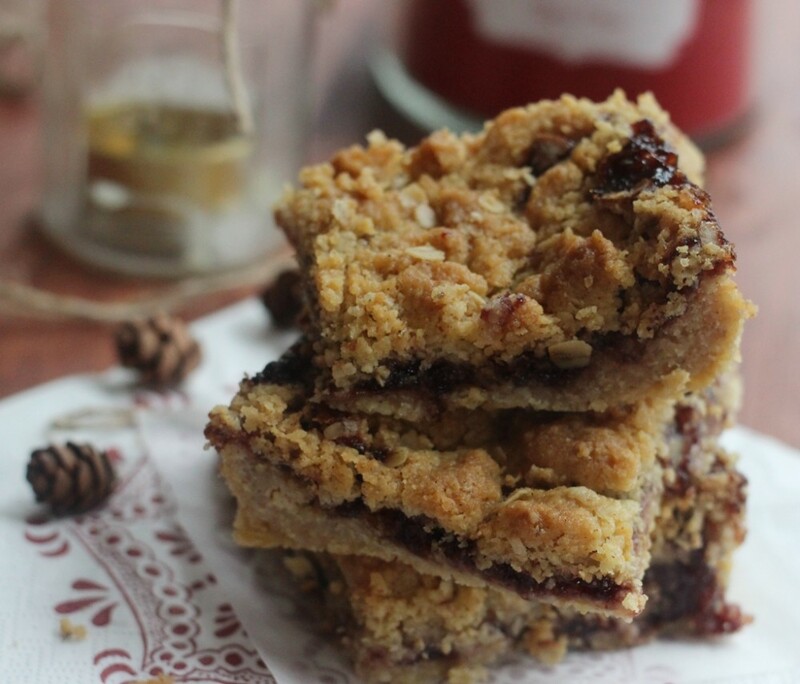 And apart from being full of health-benefits, added with flavours of cinnamon and vanilla, these oatmeal bars make a tasty snack to eat on the go anywhere. Pre-heat the oven to 350ºF / 175ºC. Grease a baking pan (I used a 20 x 20 cm / 8 x 8 in) with butter and leave to the side. Cream the butter and sugar together really well. Press half of the mixture into the bottom of the baking pan. Spread the preserves over it in an even layer. Crumble the remaining mixture, with your hands, over the raspberry preserves. Bake for 40 minutes, or until lightly golden brown. 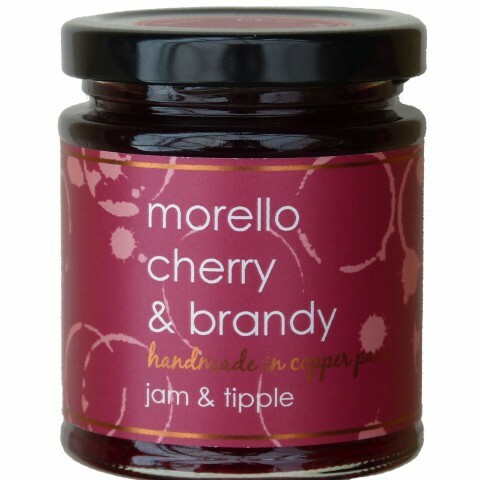 If you can't get hold of any Black Cherry preserve then it's just as easy to make your own - if not easier as you don't need to leave the house! All you need is pitted black cherries, sugar and lemon. Glaze the cherries with sugar and leave for a couple of hours then simmer on a low heat for 1 hour.